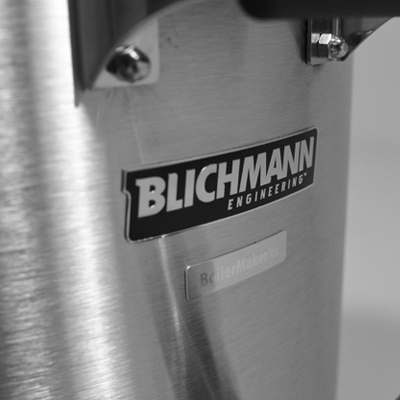 Blichmann Engineering took the best engineered Electric brew kettle on the market and redesigned it from the ground up. 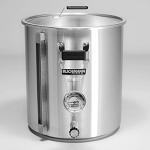 The G2 BoilerMaker is a product of extensive American engineering and quality US manufacturing; they've made no sacrifices in quality or materials on this kettle. You can expect it to last as long as you do with a limited lifetime warranty. 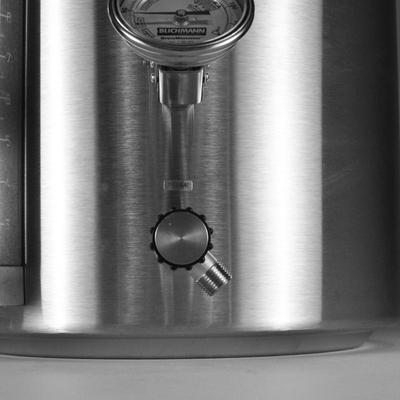 The G2 BoilerMaker has no shortage of well thought out features with the homebrewer in mind. 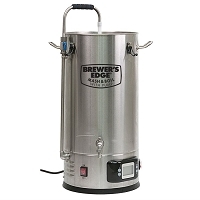 The flow drain valve allows for complete control of your flow rate and cleans easily, while the cool touch molded grips allow for easy movement of the kettle. 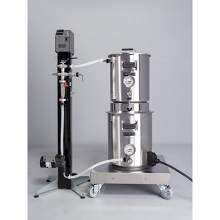 The level gauge is easy to read and has gallon and liter indicators, and the installed Brewmometer helps maintain accurate temps while being adjustable for multiple viewing angles. 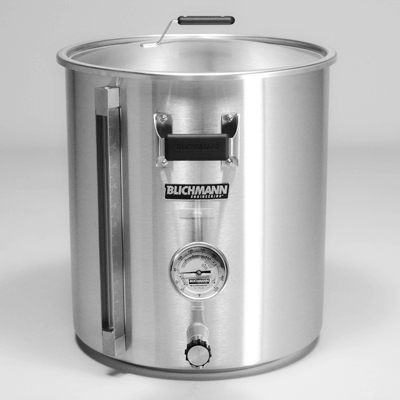 The Blichmann G2 BoilerMaker is a well thought out piece of engineering sure to make your next brew day even more amazing. 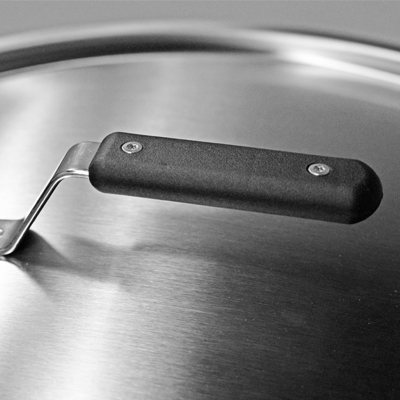 Heavy gauge 304 single piece stainless steel construction that deep drawn and weld-free. 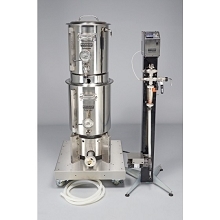 G2 linear flow valve allows you to fine tune your flow rate for increasing repeatability. 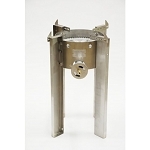 The built-in 90 degree outlet can be oriented at any angle making hose routing a breeze. Includes cool touch silicone grip and easily disassembles for cleaning. 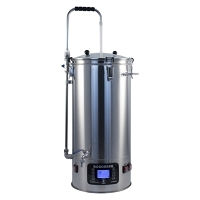 The G2 series Boilermaker features a brushed exterior to keep fingerprints and water stains at bay. The interior remains silky smooth. High-Impact, glass-filled nylon handles are durable and remain cool to the touch. 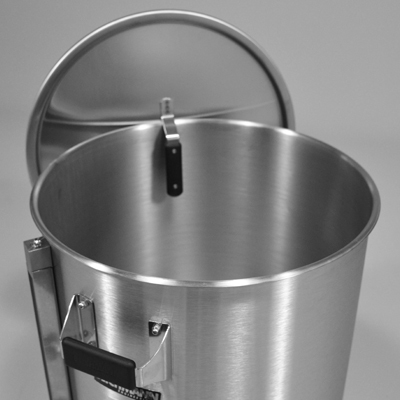 They're also oriented to make carrying easier and can also store the lid. 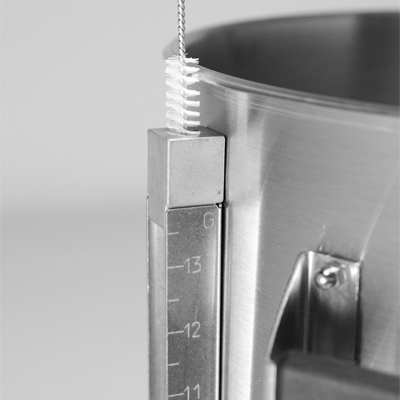 1.2 height to diameter ratio - A Blichmann Engineering innovation. 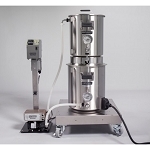 Brewmometer Included (Fahrenheit) - Features patented brewing dial face which is adjustable for multiple viewing angles. 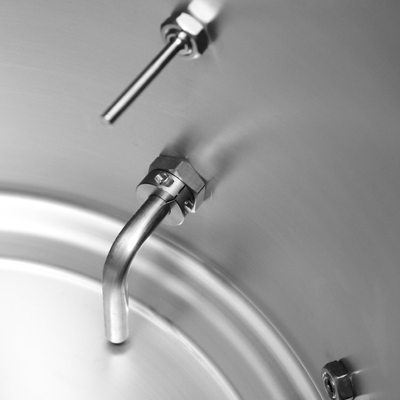 Standard heavy-duty borosilicate glass level gauge never clouds or scratches. Volume graduations are indicated in gallons and liters. Includes cleaning brush. 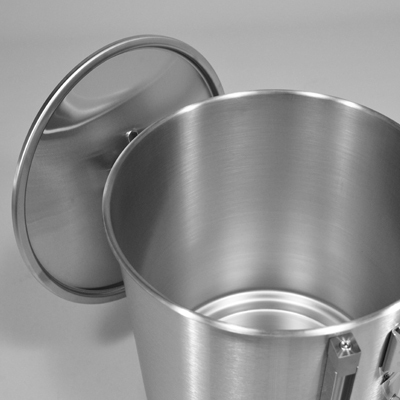 Snap-in dip tube design installs without tools and drains to within 3/8 of the bottom of the kettle. 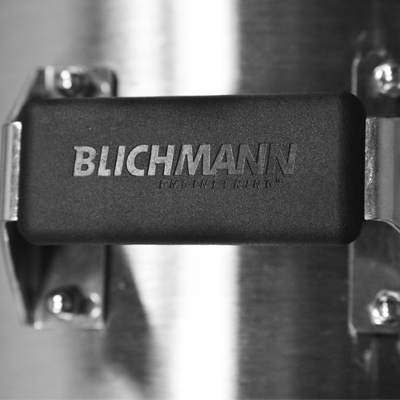 Stepped Edge ledge on bottom supports the Blichmann Mash Screen and almost completely eliminates sidewall shunting.